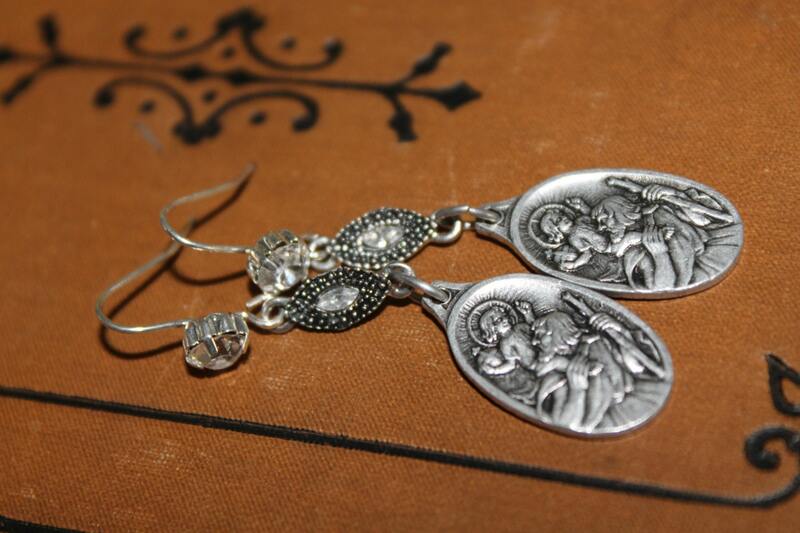 Dangle Earrings "Sacred HEART" Rhinestones Silver Vintage assemblage Repurposed, Variations, Catholic Medals, Crystals, OOAK, Religious Jewelry. 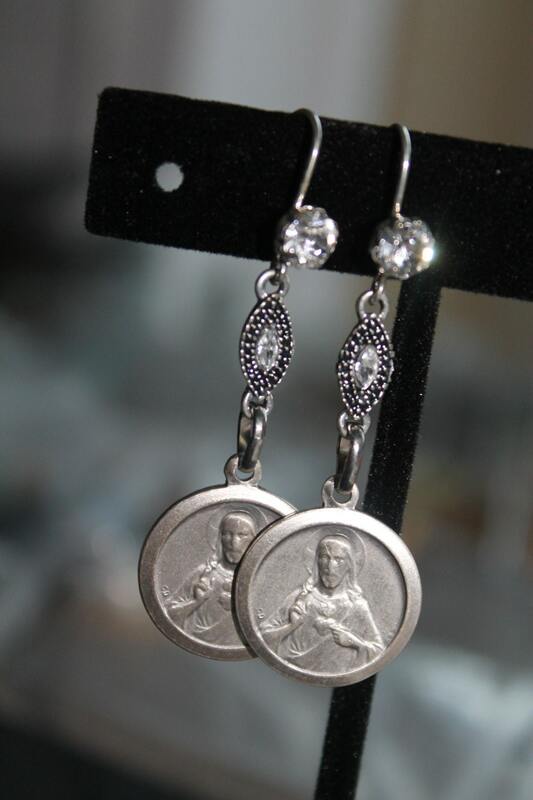 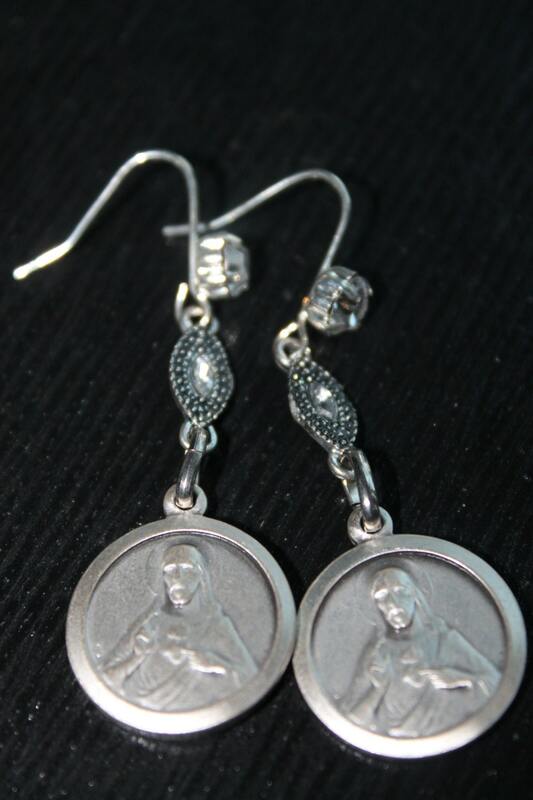 I assembled this pair of earrings using vintage and new elements : rhinestones silver connectors and Sacred Heart( oval shaped dangle) and Jesus ( round shaped dangle) religious medals. 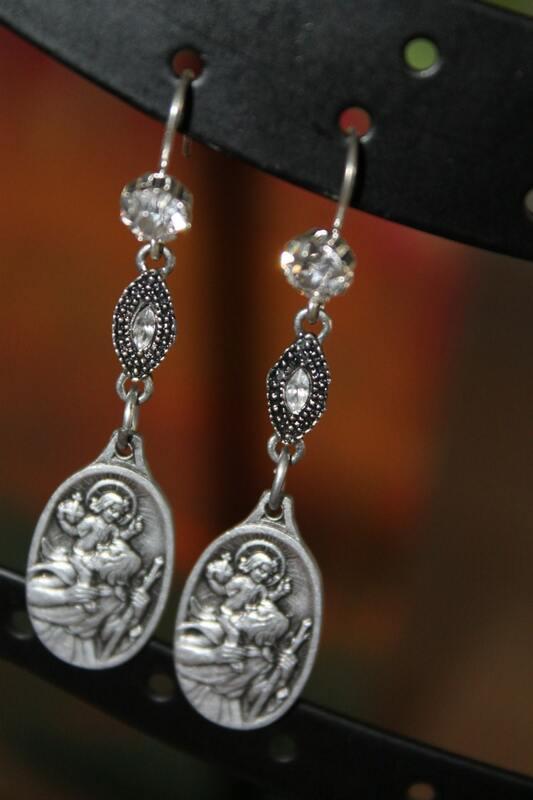 Earrings drop down to 2 " long", brand new silver plated hooks with rhinestones. 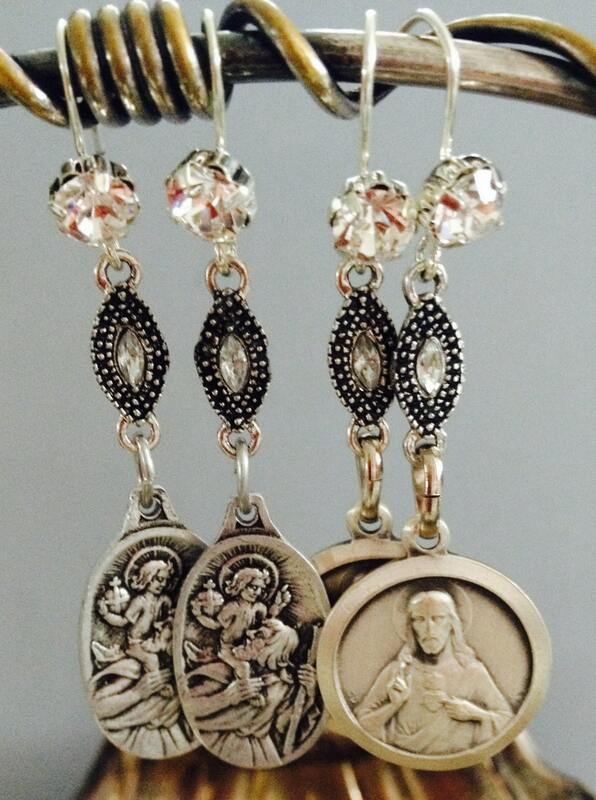 Please choose form the variations.